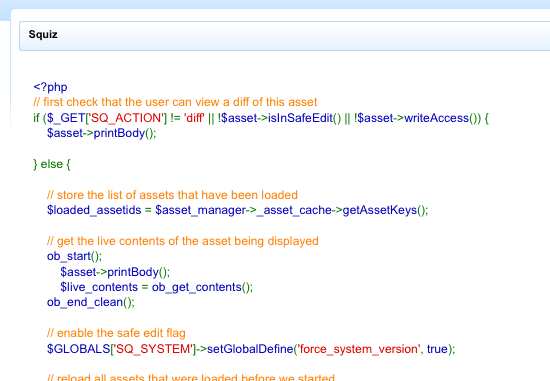 The Code Content Type allows you to display code as content on a page, as shown in the figure below. When the Content Type for a Division is set to Code, the text box and accompanying fields shown in the figure below will appear. Show Line Numbers: check this box to display line numbers for the code. Line Numbers Orientation: select whether to display line numbers on the left hand side or the right hand side of the code. 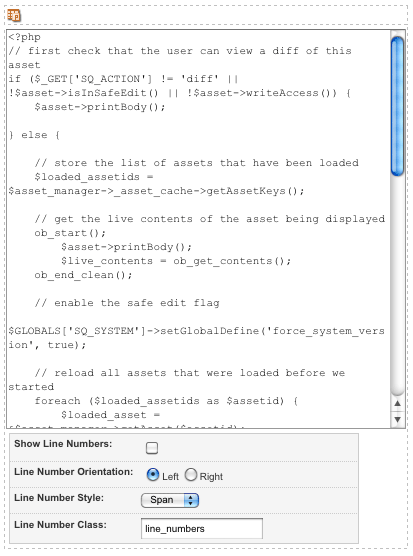 Line Number Style: select whether to use the HTML span tag or the HTML list tag to display the line numbers. Line Number Class: enter the name of the class from the style sheet to be used for the line numbers.